Uh Oh, Here Comes Christmas! Based on the books by Robert Fulghum. Adapted by Ernest Zulia and David Caldwell. 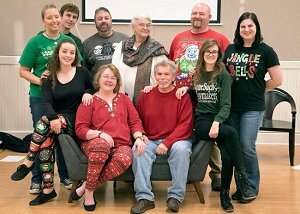 Fifteen holiday stories from the international best-selling author of All I Really Need to Know I Learned in Kindergarten have been crafted into an engaging evening of storytelling and song. 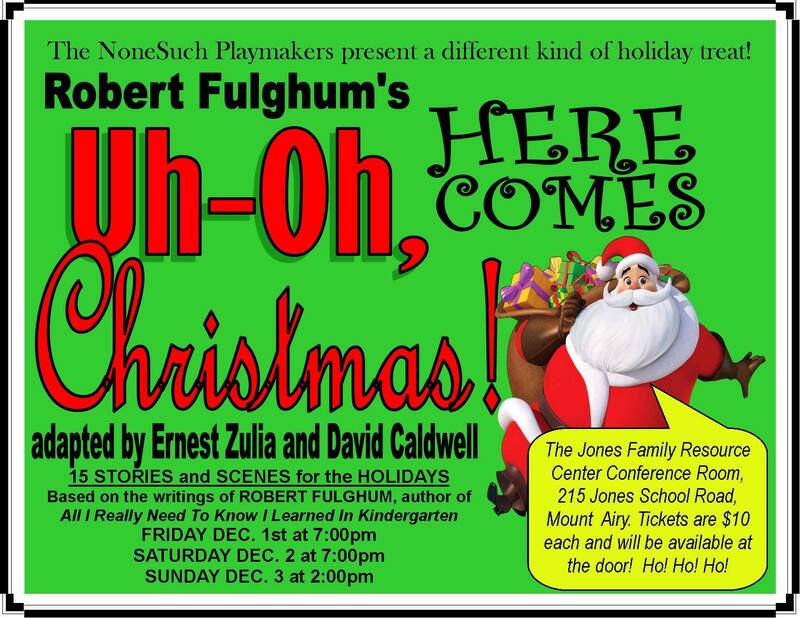 This charming show takes a funny, heartwarming and often poignant look at the struggle to find the spirit of the holidays amid the avalanche of commercialism, stress and chaos that crashes down every December. The many delightful stories include a small immigrant child who comes trick-or-treating in a cheap Santa mask a few days before Christmas, inadvertently delivering the true meaning of the season to a grown-up with a serious case of "Scroogitis;" hilarious musings about a love/hate relationship with the vibrant poinsettia that arrives in most homes every December and hangs on and on and on, long after the holidays have ended; and a beautiful, deeply moving tribute to the winter solstice, celebrating nature's precious annual gift of rebirth.